We have the most scrumptious Ice Cream courtesy of Styles Farm. At Styles they specialise in making luxury dairy ice cream with only the best natural ingredients. You won’t find them using ‘reconstituted milk’ instead of fresh milk or ‘vegetable fat’ in place of fresh cream. ​Our Ice Cream is recognised as the country’s premier producers of homemade farmhouse ice cream and iced desserts. All of there ice cream is made on the farm with fresh locally sourced Jersey cow’s milk, fresh West Country cream, and no artificial colours or ingredients. Our yummy ice cream can be enjoyed in delicious waffle cones or 100% bio-degradable tubs. 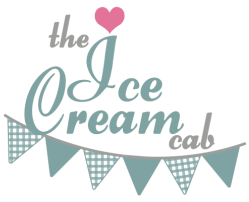 Take a look at the wide selection of ice cream flavours you will find when you visit The Ice Cream Cab! Every ingredient that goes into our ice cream is sourced from the highest quality. Our ice cream is made using NO ARTICIFICIAL COLOURS OR FLAVOURINGS, it's suitable for vegetarians and to top it off, all of our packaging is ﻿100% BIODEGRADABLE. ﻿♥﻿ Gluten Free Same great taste… less guilt! All about great-tasting and healthier eating, our Slim Ewe Iced Desserts retain all the natural taste, texture and health advantages of sheep’s milk whilst containing less than 2.5g of fat and under 75 calories per 100ml. Available in four delicious flavours: Vanilla Bean, Dark Chocolate, Just Blueberry and Simply Strawberry, all are suitable for vegetarians and none of the flavours contain artificial colours.